captcha showing up after form is submitted? my form was showing a captcha on a different page after the form was submitted. how did i make this happen? Normally, if a captcha on a form is completed incorrectly and the form is submitted, the user will be presented with another captcha on a separate page. The only in-form validation performed on captcha fields is if they are empty or not: If they're empty, an error message is triggered notifying the user that the captcha is a required field. However, the form in question has no captcha. Not only that but after doing a test submission, I just got the thank you message. Is this happening in any particular browser? Ya i got rid of the captcha so i guess its not happening anymore. Also, did u check the check box for terms and condition? For some reason that check box isnt giving any output value?? The form on your web page doesn't match that in the form builder. That's the most likely cause of the terms and conditions check box not returning any results. 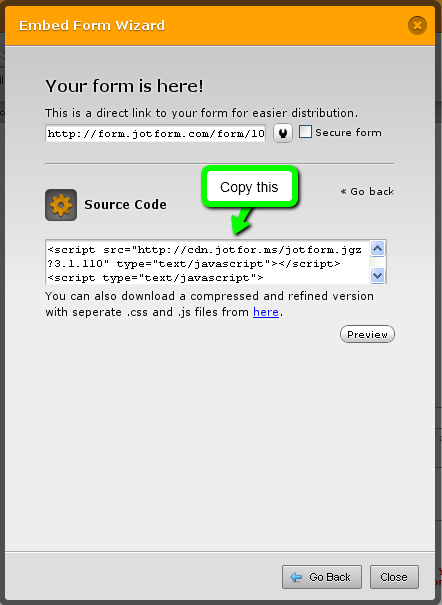 The solution is to replace the embedded code with a fresh copy from the form the Embed Form Wizard. Please see Which Form Embed Code Should I Use for the pros and cons of the various methods. Incidentally, it may be worthwhile reading Adding a Licence Agreement to a Form before copying the code.